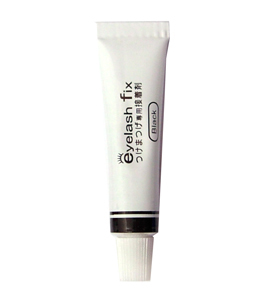 Black color false eyelashes glue. Easy to apply and dries quick. Dries on black so you will want to use this to go with black or dark eye makeup. Made in Korea.